I've heard so much about the supposed "black-out in a can" that it had always intrigued me. I knew of other such "beverages" (I use the word beverage loosely, like "hot dog down a hallway" loose) such as Joose and the O.G., Sparks. 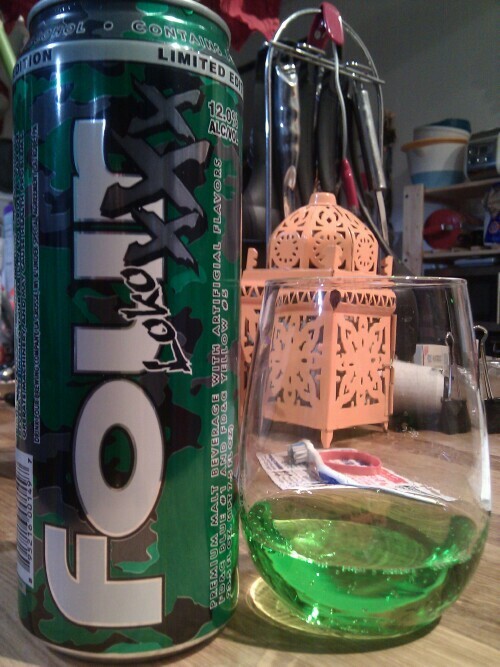 But what makes Four Loko so infamous? Before I even get into what it's like, let's start with how I came into possession of the mystical liquid. Well, last Wednesday, my girlfriend asked me to mail out some books for her, at the post office in the supermarket across the street from our apartment - yes, our supermarket has a post office in it. Being the totally awesome boyfriend that I am, I go in and am promptly told that it's too late to send out packages. It's about 2:30pm. PM!! Without an argument, I say F-this place and leave because there's always some kind of antics like this being pulled in our Food Bazaar. I looked up the nearest post office and rode my bike over. When I get there I hop off my bike and walk it to the corner to lock up. Also on the corner is a bodega with Four Loko stickers on its door. I saw them and was like "No f-ing way. I thought that –ish was banned. I'm going in after this if I got money left". I go to the post office and leave with $3.10 on me and headed straight for the bodega. 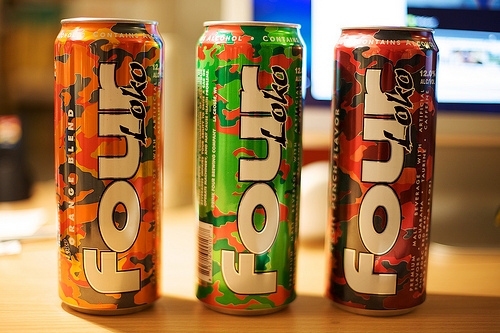 Upon entering the place I made a b line for the cooler and saw a row of Four Loko cans. There were 4 or 5 flavors for me to choose from. I felt watermelon was too stereotypical, the lemon flavor sounded like meh, and the blue raspberry was just no because I knew it was going to be blue in color and something in my gut said hell no. So green apple it was. I purchased my can (for $3) and home I went. 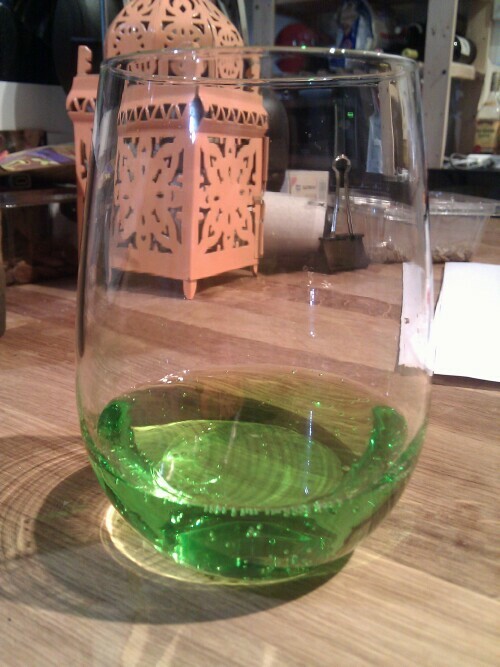 Well, to be very blunt, this was carbonated, alcoholic, apple drink. Not apple juice, apple drink. If you don't know the difference between drink and juice, you need to watch you some Dave Chappelle. That's all I'm going to say. As for the taste…how anyone could consume enough of this to actually black out, is beyond me. The taste is probably closer to jet fuel in a can, than a black out. Imagine Boone's Farm in concentrate form. It's not pretty. I will say though, that it does taste like apple drink. Its consistency is similar to soda. Take that for what it's worth as it didn't help me drink more of it. When all's said and done; never again will I drink this unless there I'm getting a sum of money equal to at least 4 figures per can. Like I said earlier, this stuff is so bad that I can't imagine people drinking enough to black out on. Also I feel qualified to say that I now know what "Hater-ade" tastes like. And I don't like it. For the record, I only drank about a 1/3 of the can while writing this.